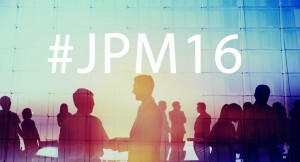 Today kicks off the 34rd annual JP Morgan Healthcare Conference, which continues to be healthcare’s greatest deal-making and high-powered networking event of the year. Each year industry leaders unveil new products, as attendees scope out emerging trends in healthcare’s rapidly-evolving sectors such as digital health and diagnostics. Last year the introduction of the the HiSeq X Ten from Illumina made great waves as it would continue to drive down sequencing costs and democratize genomics. We look forward to this year’s announcements in genomics which will undoubtedly be focused on what can be achieved with large scale sequencing. However, biotech wasn’t always big business; leading up to 1980 it was Big Pharma that attributed to the majority of drug discovery. If you’re curious on how biotech evolved from risky investment to booming business, Luke Timmerman and Meg Tirrell do an outstanding job chronicling biotech’s coming of age in The Signal podcast. DNAnexus is honored to be presenting this year. Richard Daly, CEO, will deliver a presentation on Tuesday, January 12th at 2pm PST in the Elizabethan D room at the Westin St. Francis. In his talk, titled The Network is the Solution in Genomics, Richard will discuss the convergence of genomics and cloud computing and how DNAnexus has acquired market leadership in this sector by building out a global network via its integrated genome informatics and data management platform. 2015 was a breakout year for DNAnexus, expanding our global network of key customers and partners by 6-fold, many of which we have announced publicly. We help biopharmaceutical companies (Regeneron), leading genome centers (Baylor College of Medicine, Stanford University), pioneering diagnostic test providers (Natera, CareDx, Intermountain), sequencing service providers (The Garvan Institute, WuXi NextCODE), research consortia (ENCODE, CHARGE, 3000 Rice Genomes Project) and the US Government (precisionFDA) accelerate their genomics programs globally. Our focus on secondary analysis and building out a partner/collaboration network drives substantial growth. 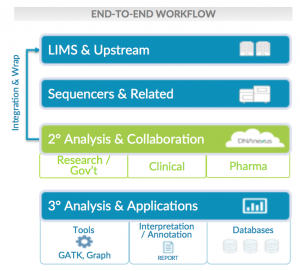 Laboratory information management systems (LIMS) and sequencing instruments easily integrate with DNAnexus, as well as downstream tertiary analysis and reporting solutions. Genomics has been called the original big data, and it’s only going to get bigger. Organizations participating in global large-scale sequencing projects studying thousands or even millions of genomes are becoming the norm. In an article, Big Data: Astronomical or Genomical?, in PLOS Biology projects that by 2025 the genomics industry will outpace three other major big data generators: astronomy, YouTube, and Twitter, in projected annual storage and computing needs by a factor of 2-20x. Our own projections suggest more than 400,000 TB of genomic data in 2016, and only 0.01% of the world’s population has been sequenced. As big data aggregates online, new standards will need to emerge for discovering and querying datasets, for authenticating requests, encrypting sensitive information, and controlling access. 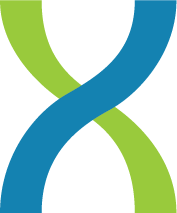 DNAnexus, along with the Global Alliance for Genomics and Health and others are already working together to develop approaches that facilitate interoperability. At DNAnexus, we believe the cloud is the only technology that is capable of keeping pace with big data. It eliminates time and the capital expenditure of creating and upgrading local infrastructure for data analysis. The elasticity of the cloud allows for near limitless scalability and immediate availability to resources. And with the cloud’s online nature, researchers are able to share data and tools and collaborate instantaneously with others around the world. Our industry is long overdue to replace hard drives and FedEx as the means for collaboration, and patients and researchers worldwide will benefit from a simpler means to collaborate. DNAnexus, and its global genomics network, is addressing the challenges of genomics big data.